Skilled mountain guides are the gateway to any successful adventure. Their knowledge of the terrain, local culture, and mountain safety are key to any successful trek. Every country has a unique certification process for mountain guides. Some complete wilderness medicine training as part of their guide certification while others are not required to do so. 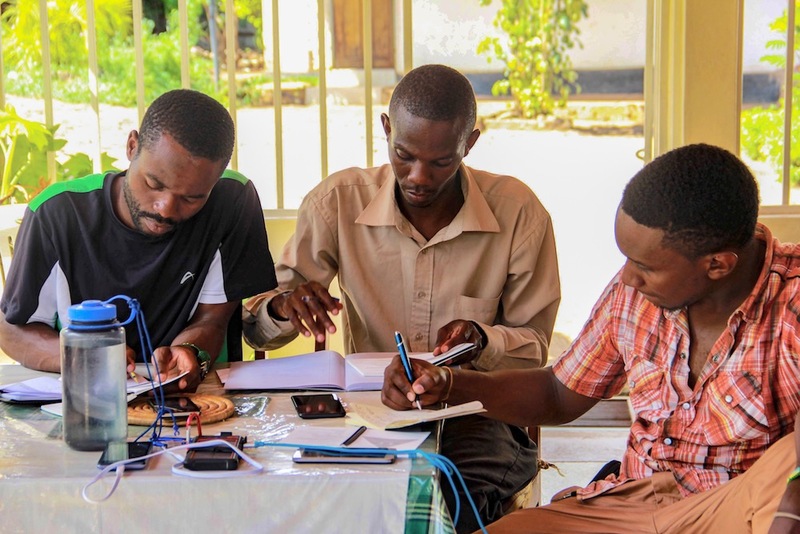 Organizing group training can be difficult when in-country facilitators require a minimum number of participants or when costs for participants are too high, especially in developing countries. To navigate these roadblocks, OneSeed has partnered with Backcountry Pulse, a wilderness medicine education company that trains mountain guides all over the world. 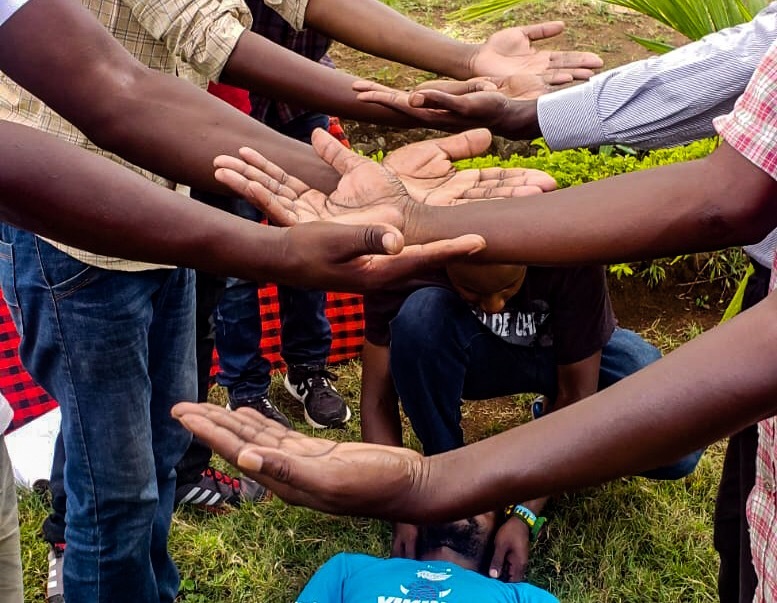 The company’s founder, Rachel Sapp, flew to East Africa to work with our guides in Tanzania, providing a Wilderness First Responser (WFR) certification course. Hear from Rachel about how (and why) she founded Backcountry Pulse, what a typical training looks like, and the importance of diversity in wilderness medicine. Can you tell us a little about Backcountry Pulse? Backcountry Pulse is a global for-profit wilderness medicine education company with a philanthropic twist. We offer scholarships to advance diversity and representation in outdoor leadership roles in the United States. 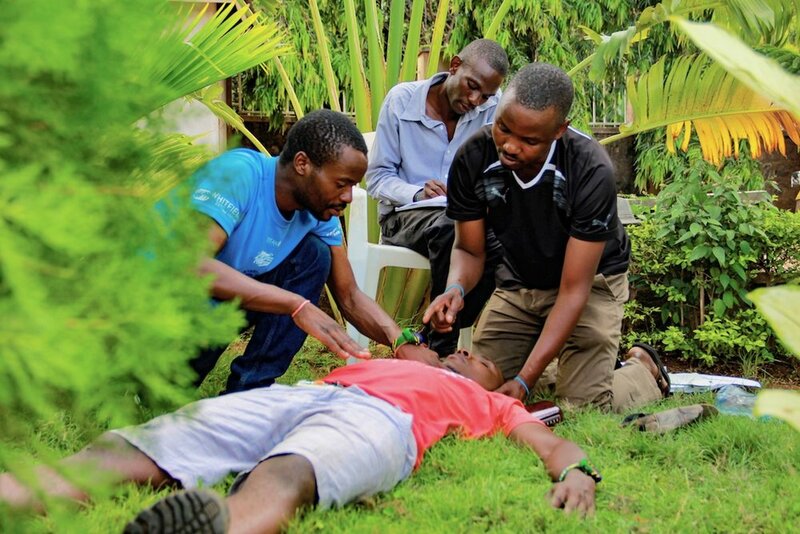 Internationally, we train mountain professionals to the Wilderness First Responder level but tailor courses to the environments they work in and practice with the equipment they are using in the field. Since our team is all medical professionals, we are working towards following each international course with a medical stewardship project deemed by local communities and clinics. What was your background before starting your own company? My background has been blending roles in outdoor experiential education, climbing/mountaineering guiding, and emergency medicine/mountain rescue for the past ten years. I saw a need for tailored education that could do without the cookie cutter approach. Having a one size fits all approach works well when instructing the general public, knowing every course will be taught the same way every time. For guides, search and rescue companies or professionals in the field, there are standing protocols, specific equipment that are different from company to company. 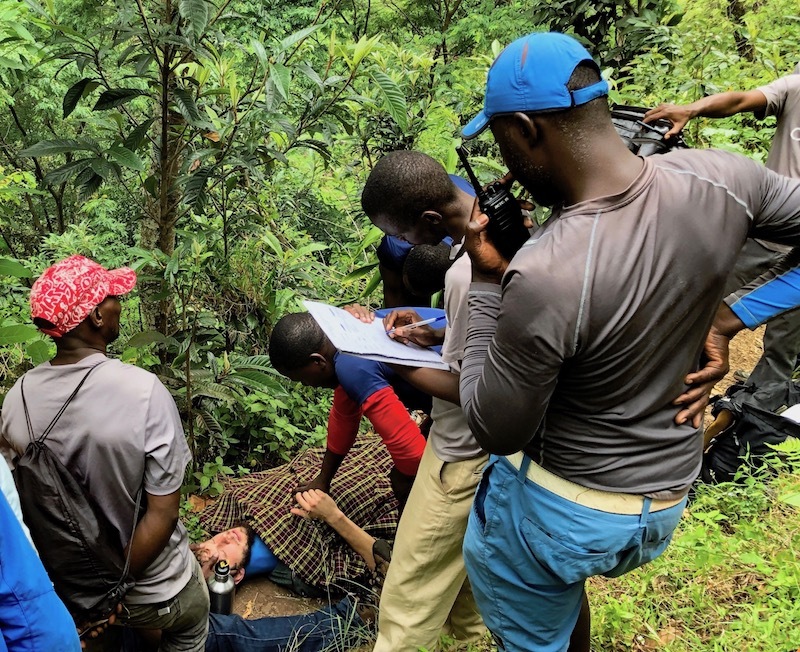 Our courses are taught covering all material required by the scope of practice guidelines for wilderness medicine, but we customize our courses to be the most realistic for each company's situations. What need is Backcountry Pulse trying to meet? What’s been lacking in the wilderness medicine field? A big problem we see that is being voiced throughout many avenues of the outdoor industry is creating an outdoor community that is reflective of diverse population that recreates in it. There is great work being done to create a more inclusive outdoors but we really want to see that leading to roles in outdoor guiding. In the United States, we created the two week D.I.R.E Scholarship program (diversity, inclusion, representation, equality). The program combines wilderness medicine certification, outdoor leadership, risk management, career mentoring, and environmental stewardship. 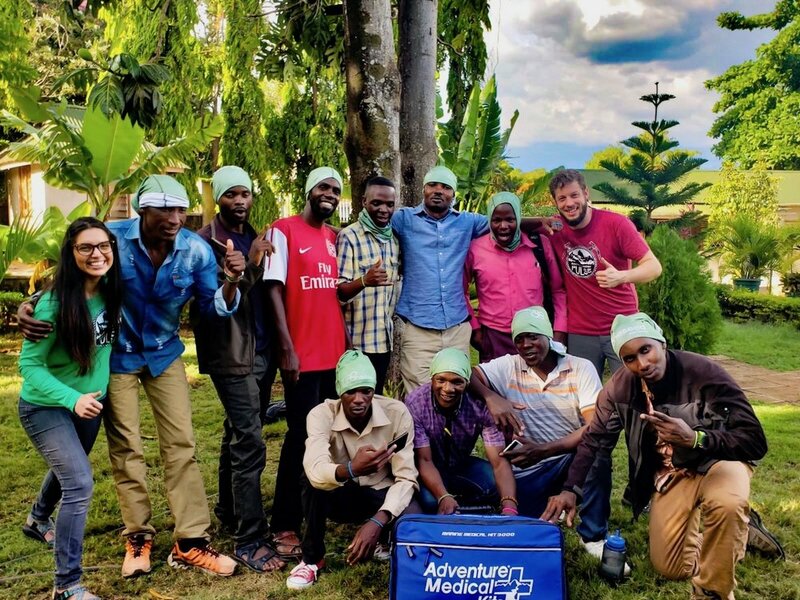 Can you breakdown the training you facilitated for our mountain guides in Tanzania? 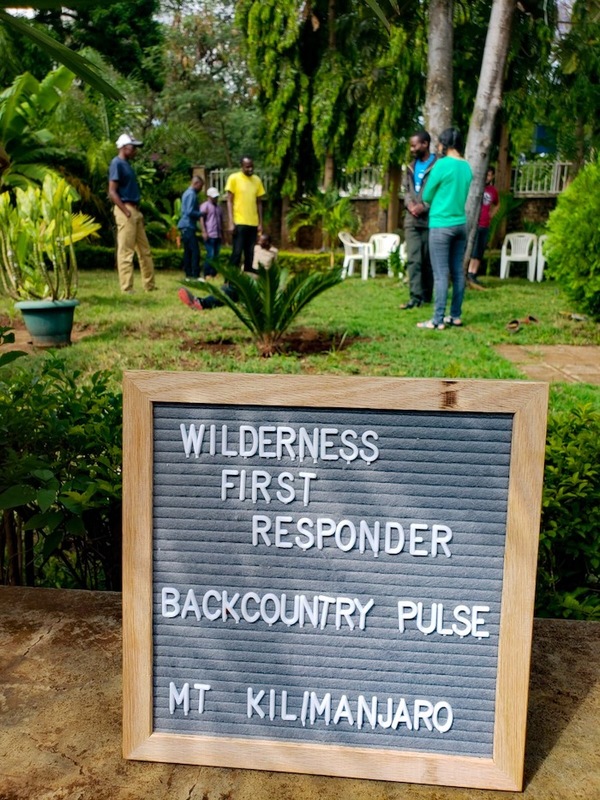 In Tanzania, we trained, tested, and certified OneSeed’s Kilimanjaro mountain guides with Wilderness First Responder (WFR) certifications. WFR certification is the standard for outdoor guides leading groups in remote environments with evolving weather, limited resources, and delayed evacuation times. OneSeed guides learned to perform an organized and detailed patient assessment for patients with medical and trauma problems. They learned how to write and talk about their findings, treatment, and plan in a collected, organized manner. 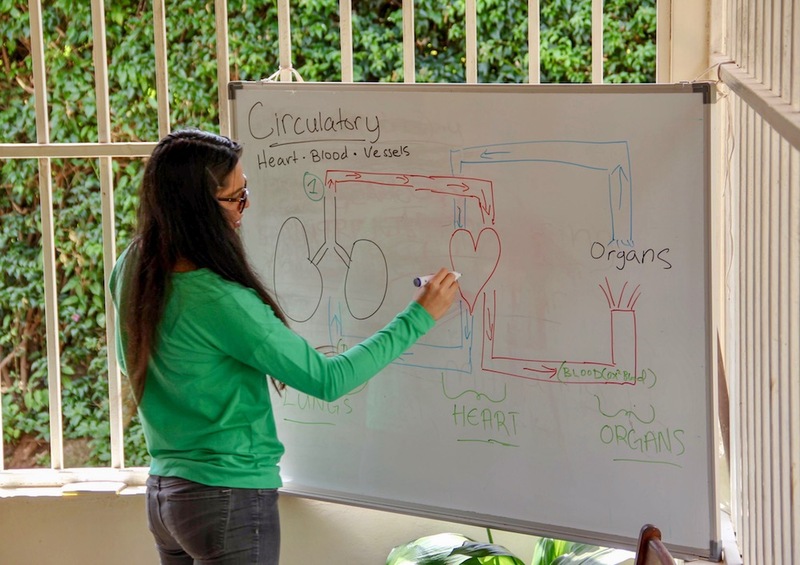 We learned basic anatomy and physiology of each organ system in the human body and their functions. We learned how to treat and when to evacuate a multitude of traumatic, medical, and environmental illnesses and injuries and proper ways of lifting and moving patients with suspected spinal injuries. 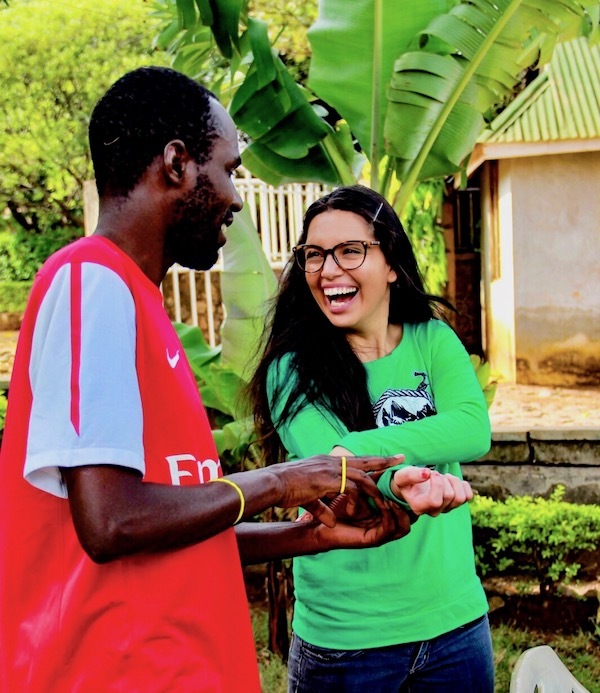 One of our favorite phases of the course was yelling out “hakuna maisha!” in Swahili or “no life!’ when recognizing the signs and symptoms of life threatening conditions. How will the skills our mountain guides learned make them more effective leaders on the mountain? A huge focus that was weaved into every aspect of the course is risk management. How do we prevent incidents from happening, or further evolving? We went over good guiding practices and techniques that can be easily integrated in daily practices. Ultimately, hazards in the wilderness are inherent and you can’t prevent everything… that's the nature of work in the outdoors. It’s also one thing to recognize the situation but it’s a whole other skill to react in a way that you can comb through the incident at hand while maintaining strong communication, organization of a team, and empowering and coaching those around you to help. It was incredible to watch how the guides’ leadership, communication, decision making, and teamwork skills evolved over the course. To any prospective climber on Kilimanjaro, take note: THESE are the guides you would want by your side. Any highlights from the training / trip in general? Wow, so many incredible moments. From improvising litters and splints, to singing and dancing through patient assessments, to celebrating the experience of learning together each and every day. What an incredible group to have the opportunity to teach to and learn from. If I had to pick only one, it would be the extended evacuation we did from the base of a waterfall through the jungle, ending at a place that would be suitable for a landing zone for a helicopter. The radio communication, organization of team roles, and swiftness of a perfect patient assessment, treatment, and improvised litter evacuation and carry was rock solid and 100% orchestrated by the OneSeed team. We took a step back and told the guides we would only step in if an unsafe situation was arising. We never stepped in and one of the coolest parts was that the members of the Materuni tribe came out offering help hearing there was a hurt person needing to be carried out at the waterfall. It was amazing to watch the community come together.